Warner Bros. has released the first half of the second season of ‘Batman: Brave and the Bold’ and it does not disappoint. The official synopsis reads: “Batman wings into an exciting new era, teaming with a mighty honor roll of DC Comics Super Heroes in this action-packed series. 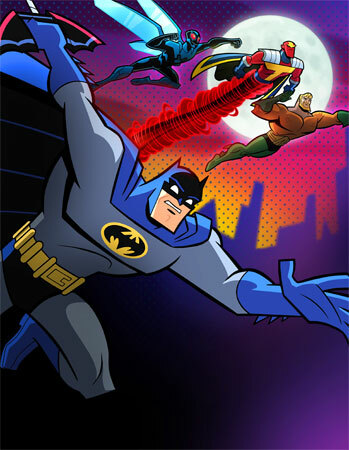 Through the show’s season two 12 Animated Adventures in this 2-Disc Collection, the Dark Knight allies with Aquaman, Plastic Man, Blue Beetle, Red Tornado, Green Arrow, Wildcat, Deadman, Bronze Tiger and Atom to take on an array of evildoers ranging from mad scientists to intergalactic crooks, from power-mad dictators to out-of-control teenagers.” This is one hell of a fun Batman Animated series and should be seen and purchased. Now this is more for the younger crowd, but adults should enjoy this as well. 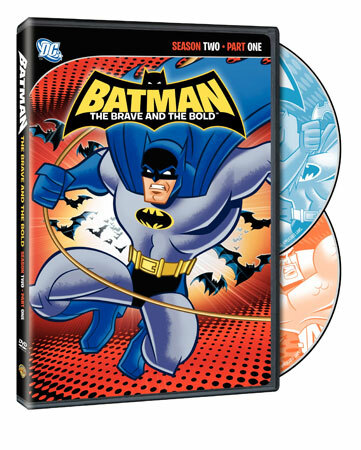 I really did enjoy how Brave and the Bold leans more towards the fun action adventure and silliness that was present in the old Adam West tv series. And I also enjoy seeing all the other DC characters helping Batman in solving crimes. If you listen closely, you will be able to here Lukywalker’s erm…Mark Hamill’s voice in the series. He is famously known for voicing the Joker in another Batman animated series. Also check for Adam West and Julie Newmar as the voices of some great DC characters. The video/audio is superb for being DVD. 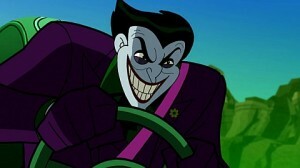 This particular Batman animated series is very vibrant in color and not the normal shady menacing dark tone. And the audio packs a good punch with all the speakers getting good and clear sound. Sadly no extras are found, but what more do you ned form a fantastic series. Definitely worth the buy. 1. Death Race To Oblivion! 2. Long Arm Of The Law! 3. Revenge of the Reach! 5. The Golden Age Of Justice! 1. Clash Of Metal Men! 3. The Super-Batman of Planet X! 4. The Power Of Shazam! 5. Chill Of The Night! 6. Gorillas of Our Midst! Purchase ‘Batman: Brave and the Bold’ Season 2 Part 1 Directly from Warner Bros. HERE!!! This entry was posted on Monday, August 29th, 2011 at 5:04 pm	and is filed under Film. You can follow any responses to this entry through the RSS 2.0 feed. You can skip to the end and leave a response. Pinging is currently not allowed. « Josh Brolin To Star In Spike Lee’s ‘Oldboy’ Remake!! !